If you have a brilliant new idea for an mobile app, a handy gadget, a smartphone case that does something cool, an album you want to produce, or even a comic book you want to publish, it’s never been easier to get your idea in front of a lot of people and raise money to make it a reality. There are dozens of free and cheap sites designed to boost new ideas, but not all of them are best for your idea. Here’s how to pick the best one for you. Sites like Kickstarter and many others all cater to people with ideas they believe can make it big, but who need money to get them off the ground. The community supports the idea, everyone chips in, and with luck and enough interest and the right amount of money, the product gets made and the contributors usually get first cut or a special perk. Still, even though Kickstarter gets a lot of press, it’s not necessarily the best one for your idea. Photo remixed with an original by dinadesign/Shutterstock. Kickstarter is the major player in this space, and for good reason. The service gets a lot of media attention, and even though the majority of Kickstarter projects don’t go anywhere, it’s become the go-to destination for anyone looking to crowd-fund their projects thanks to a few high-profile projects that managed to raise a lot of money. It’s not the biggest crowd-funding community, and it’s not even the one with the best track record, but it’s incredibly easy to use, popular with angel investors and people looking for the next big idea to invest in and get behind, and well organized. Idea creators can set up their profiles for free, founders can pledge as much or as little as they choose, and no money changes hands until time runs out or the project is fully-funded. If the project is fully funded, Kickstarter takes 5% off the top, and the rest goes to the inventor or creator to make their idea happen. IndieGoGo is actually larger than Kickstarter, and more people there use it for more types of projects. The site takes 4% off the top of your fundraising if you reach your funding goal, and encourages creators and developers to offer perks to the community for funding their projects. Unlike some of its competition, IndieGoGo also has its doors open to charities and non-profits. The site is particularly popular with software and app developers, although all sorts of creative projects are up on the site for funding, including documentary and independant films, education projects, and international aid projects. IndieGoGo also has the benefit of being a global site, available to users around the world. 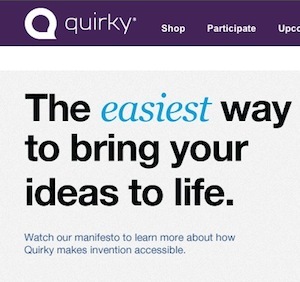 Quirky has an excellent track record, and some of our favorite gadgets started as Quirky ideas. The process of getting your idea in front of the Quirky community is a bit more involved than at other sites. You submit your idea, the community weighs in first on whether or not it’s an idea that could be made into an actual product before it goes in front of the world for fundraising. That’s the key, while other sites focus on creative endeavors, most Quirky projects are tangible products that can be manufactured and sold. The Quirky community is active and engaged in idea building and product design and development, and a lot goes on long before the idea ever gets on the site for presale fundraising. Pricing is on a sliding scale—people who get in early can get lower prices than people who get in later, and once the product is made, Quirky can work to manufacture it themselves, or work with a major retail partner to get it on store shelves everywhere. We touched on this topic a bit in our previous story on how to release music online so music-lovers can get to it, but while SoundCloud was one of our favorite options for releasing your music for free, allowing people to remix it, and comment on it, Bandcamp is another great solution for musicians looking to set up a free storefront on the web to allow people to buy and download their music directly. Artists and fans both love Bandcamp, and the service handles the entire payment platform, from set-your-own-price albums and songs to artists with a mix of free and paid songs in their discography. 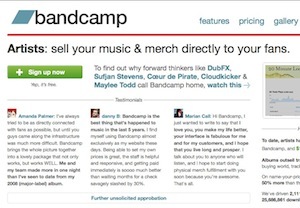 Artists can also sell merchandise through their stores, and Bandcamp takes a slice off the top depending on the artist’s sales. Fans and music lovers on the other hand get a social platform where they can follow and interact with their favorite artists, get alerts when new music is released, and discover new artists through their friends. 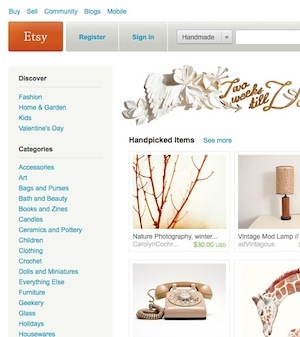 Crafty types are already well aware of Etsy and how the platform works. When people who made their own hand-made goods, arts, and custom crafts wanted an online storefront that catered more to their needs than a general auction site like eBay, Etsy was born. The site has dozens of categories, including clothing, art, jewelry, household accessories, and more. While most people know Etsy as a craft-lovers haven, the site is also home to a number of stores that manufacture products you wouldn’t associate with “arts and crafts,” like wall decals, custom motorcycle helmets, and even edible crafts like homemade cookies and beef jerky. Where other similar sites help you get seed money for an idea, Etsy is more of a traditional store, meaning you have to have your idea off the ground and your product ready for sale—even if it’s a single item—before you can sell it. Many of these sites limit their membership to users in the United States, but RocketHub is one of the largest global communities dedicated to crowd-funding new ideas. 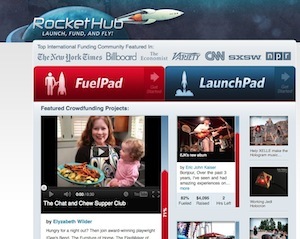 RocketHub combines a traditional crowd-funding site where individuals can promote and raise money for their own ideas and pet projects with a funding bank where people with inspired ideas can connect with sponsors, non-profits, and funding groups who are willing to share some cash with a particularly motivated or passionate individual. The service works much like Kickstarter or IndieGoGo—sign-ups are free, and the site takes a 4% cut. Different crowd-funding sites have different goals and different audiences. Depending on the type of idea you have and the audience you want to reach, you have an array of sites to choose from, and this is just the beginning. For example, if you have a random request or want to get the crowd’s help in funding a life event like a wedding or a vacation, you can try GoGetFunding, and if you’re an industrial designer, Yanko Design is a great resource for like-minded designers. Whichever site you choose to get your ideas off the ground, make sure it’s one where the community is aligned with and supportive of your ideas, and you’ll have no trouble raising the funds needed to make it a reality. 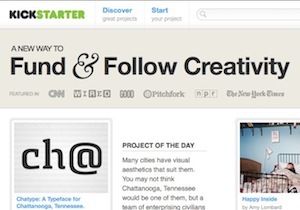 Have you used any of these sites to crowd-fund a project or idea? Share your experiences in the comments below. 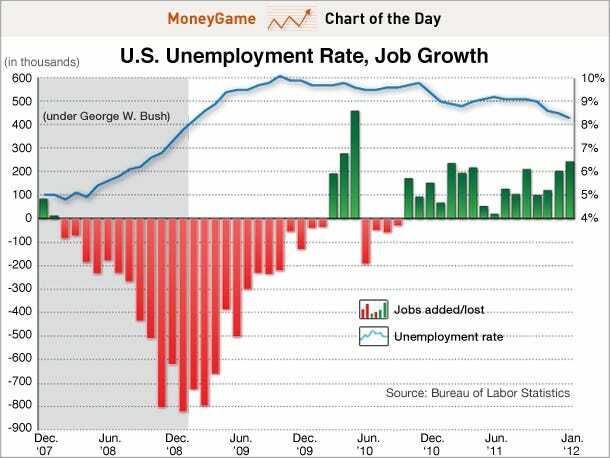 Obama’s monthly jobs record is WAY better than what it was in the months before he took office. In every commercial, he can just contrast his tenure with the period before it, and remind people how much better things are now. Also worth noting that the 8.3% unemployment rate is the lowest is since Obama’s first month in office. UPDATE: Obama used the chart! Strategy Analytics has come out with another report on the state of today’s tablet market, which, not surprisingly, remains dominated by Apple. 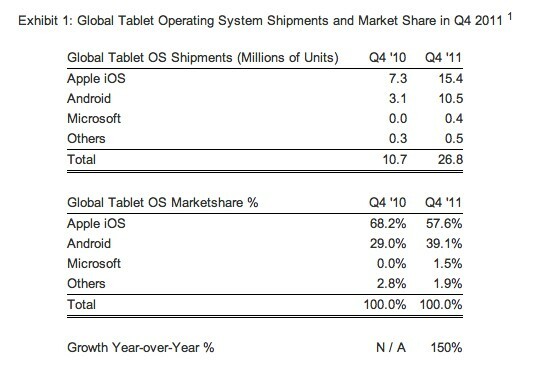 Cupertino’s iOS comprised about 58 percent of the global slate market during Q4 2011 — well ahead of Android’s record high 39 percent share, but down from the 68 percent it commanded during the final quarter of 2010. Android, in fact, has seen quite a jump over the past year, with total shipments reaching 105 million units during the last quarter, up from just 3.1 million last year (Apple, by comparison, shipped 15.4 million iPads during Q4, versus the 7.3 million it shipped last year). On a global level, the tablet market continues to blossom, with total shipments reaching an all-time high of 26.8 million units last quarter, representing a whopping 150 percent increase over last year. Read the full report at the source link below, or head past the break for a more succinct press release. 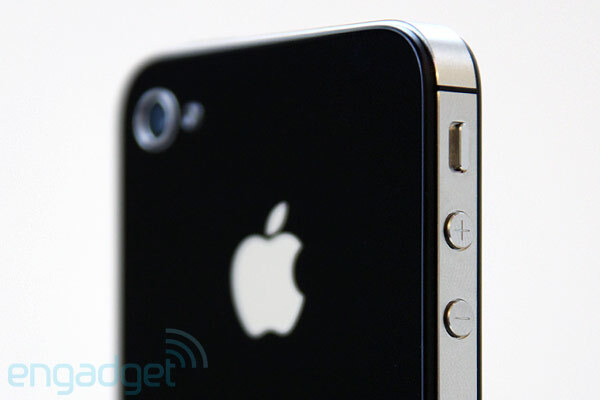 Strategy Analytics: Apple still owns tablet market, but Android narrows the gap originally appeared on Engadget on Thu, 26 Jan 2! 012 03:4 5:00 EDT. Please see our terms for use of feeds. Anonymous has sure been quiet lately, but today’s federal bust of Megaupload riled ’em up good: a retaliatory strike against DoJ.gov (and plenty of other foes) leaving them completely dead. DownForEveryoneOrJustMe.com is reporting the department’s site as universally nuked, and an Anonymous-affiliated Twitter account is boasting success. This is almost certainly the result of a quickly-assembled DDoS attack—and easily the widest in scope and ferocity we’ve seen in some time. If you had any doubts Anonymous is still a hacker wrecking ball, doubt no more. The combination of the hacking nebula’s SOPA animosity—they’ve been a vocal opponent of the bill since its inception—combined with today’s sudden Megaupload news has made the group bubble over: hundreds upon hundreds of Anon operatives are in a plotting frenzy, chatting about which site will go down next. In Anon’s eyes, the government and media interests are responsible for the undue destruction of Megaupload (and the arrest of four of its operators), so it’ll be exactly those entities that’re feeling the pain right now. Pretty much every company that makes movies, TV, or music, along with the entirety of the federal government, is in Anonymous’ crosshairs. Update: Anonymous says they’ve also knocked off the RIAA’s site—looks down for us at the moment as well. Update 2: Universal Music Group has also fallen off an e-cliff. Update 3: Goodbye for now, MPAA.org. Update 4: Affected sites are bouncing in and out of life, and are at the very least super slow to load. Anon agents are currently trying to coordinate their DDoS attacks in the same direction via IRC. Update 5: The US Copyright Office joins the list. Danzu: STOP EVERYTHING, who are we DoSing right now? Update 7: Russian news service RT claims this is the largest coordinated attack in Anonymous’ history—over 5,600 DDoS zealots blasting at once. Update 8: the Anonymous DDoS planning committee is chittering so quickly, it’s making my laptop fan spin. Update 9: Major record label EMI is down for the count. Update 10: La résistance est international—French copyright authority HADOPI bites the dust under Anon pressure. Update 11: The Federal Bureau of Investigation has fallen and can’t get up. Update 12: Anonymous has released a statement about today’s attacks. House Judiciary Committee Chair and Texas Republican Lamar Smith, along with 12 co-sponsors, introduced the Stop Online Piracy Act on October 26th of last year. Debate on H.R. 3261, as it’s formally known, has consisted of one hearing on November 16th and a “mark-up period” on December 15th, which was designed to make the bill more agreeable to both parties. 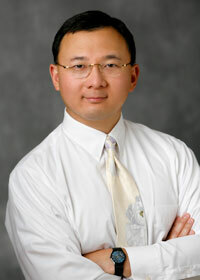 Its counterpart in the Senate is the Protect IP Act (S. 968). Also known by it’s cuter-but-still-deadly name: PIPA. There will likely be a vote on PIPA next Wednesday; SOPA discussions had been placed on hold but will resume in February of this year. Yes, though only slightly. Sales of complete albums in 2011 reached 330.6 million in the U.S., an increase of 1.3 percent over 2010, according to Nielsen. It’s the first uptick in sales since 2004 and Adele deserves much of the credit: Her 21 moved 5.82 million copies — the best one-year sales count since Usher’s Confessions sold 7.98 million in 2004. 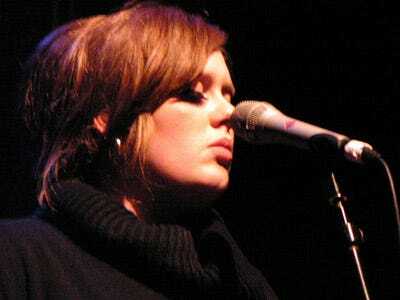 Her 2009 debut, 19, enjoyed a corresponding bump, selling nearly a million units in 2011 as well. How significant is this for the music industry? How much did Adele dominate? 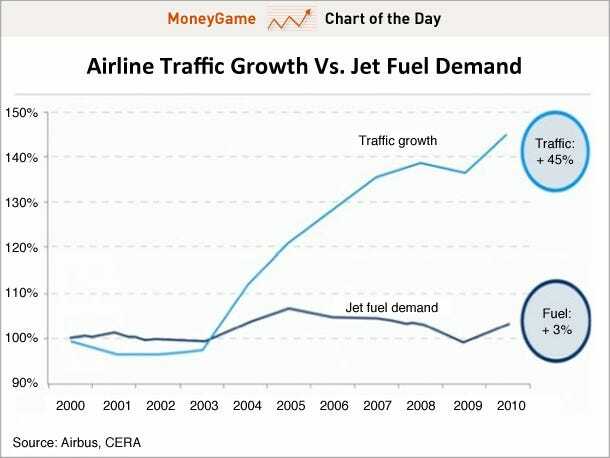 What about the digital sales? Digital music sales rose 8.5 percent, says Coates, while sales of complete digital albums rose 20 percent. Though such boosts seem like a good sign for the industry, digital sales offer the lowest profit margin of all music sales. CD sales, which deliver the greatest profit margin, were, unsurprisingly, down six percent. If America Spends More Than Most Countries Per Student, Then Why Are Its Schools So Bad?